A quarter zip pullover that says: Hey Man, I pretty much go with everything, over and under, and I'm built to never let you down, leave you cold, or otherwise disappoint you. I've got your back. Literally. I'm your SK Woolover. Yes, we know it's wrong to anthropomorphize clothing, but this washable wool-blend pullover is your best friend of outerwear. And this is its warm, friendly, faithful voice. Best pullover I've ever had. Fits perfect, looks great and keeps you warm. I wear the woolover everywhere. Money well spent! Fit and quality of fabric are what I have come to expect from SK. I have more items than I care to admit, and love them all as they hold up well and are traditional. BUT this piece did disappointment me a little the fabric clearly has two sides one that is more flat, slightly abrasive, seems very durable. The other soft to the touch, pile, but nice curious to see how it wears. The issue is the soft side is out and the abrasive side is in. I know for some this may be fashion, but from SK I expect fashion with function. This would honestly be 5 stars if they flipped it around. 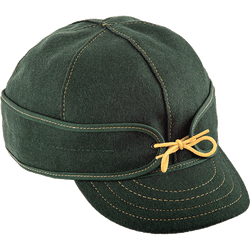 I purchased the Woolover in green for myself and a wine color for my wife. We wear them quite often and they still look new. 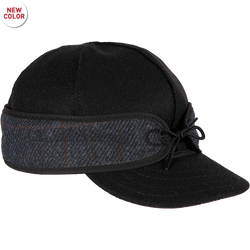 Great product Stormy Kromer, keep it up. I have two of these. I just started wearing my first one in January 2018. I normally think I should wear a large with a 44” chest but chose wisely to go with XL. I like a looser fit. It definitely makes it easier to get on. I’m getting a lot of good comments from folks here in the Pacific Northwest around the Columbia River. I like the fit, the looks and how comfortable it is. I got another one soon after to color coordinate. As soon as more color options are available, I plan to get at least one more. I love the quarter-zip style. Thanks SK for making this available. BTW, I have at least four SK hats. Love ‘me. Get many good comments on them too! Forgot to mention the sizing. I normally wear a size large in everything. I have 41” chest but a medium fits perfect. There is no room for layering underneath. It acts as my layer. It’s extemely warm and versatile. And doesn’t feel too tight. Already mentioned, but ordering another one. It doesn’t really cut the wind but it’s a great insulater underneath a hard shell. I’ve owned this sweater for bout two years and worn it at least 75 times without washing it once yet. It doesn’t smell and it’s extremely warm and comfortable. Everybody finds it gross that it hasn’t been washed yet but they can’t tell until I tell them. I own red but will be buying grey for it’s quick drying, warmth and ability to no absorb smell. This is really nice piece. What makes it is that there are two panels for each side, in addition to the front and back panels. That makes it have a great fit, with excellent arm mobility. Highly recommended. Another winner by SK. I picked this particular item over charcoal or anything offered as full zip as I have found it difficult to track down a quality wool sweater in red. Well, I found it and quite happy with the "Barn Red". If you are an XL generally speaking, well this will (likely) fit you just fine as an XL with some room to wear a t-shirt or a polo (which I do the latter with my work polos). This is warm, but seems lightweight which is a great combo. 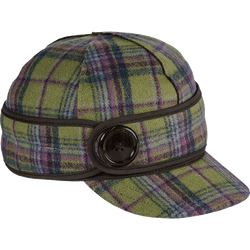 Also, the single picture on the website you may not be able to see it, but on front of the Woolover there is "SK" embroidery and on the back collar is the "Stormy Kromer 1903" stitched on.